What are you waiting for? Register for the closest event near you. 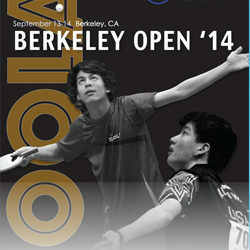 For the skinny on tournaments, charity events, and everything else we've been up to. 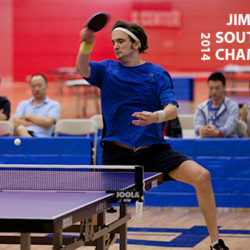 Congratulations to Jim Butler for winning the 2014 Southern Open! 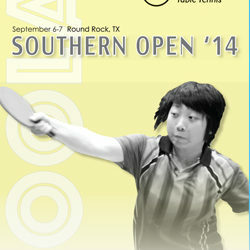 In a close match, he defeated Li Kewei 4-3 to become the Open Singles Champion on the 2014 JOOLA North American Tour! 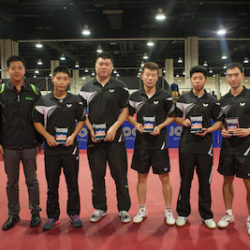 Check out results section to see the winners in other events, and stay tuned for more photos! Whether corporate or charity events, we’ve done it all and have the experience to pull it off seamlessly. 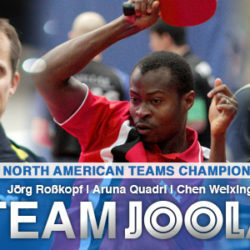 Just ask Paddlestar or Topspin. 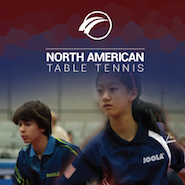 We’re the official tournament coordinators for USA Table Tennis, which means every year we run the U.S. Open and U.S. Nationals. 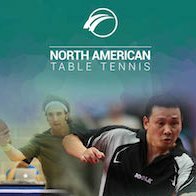 After creating the first pro tour this country had ever seen and successfully taking it on the road for over a decade, we’ve since turned our efforts to team competitions. 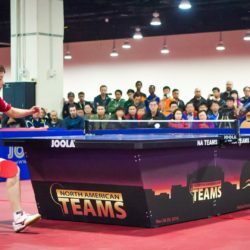 20th Annual North American Teams is November 24-26, 2017 in Washington, DC!